In today's high-speed, high-pressure, high-stress world, finding balance as a parent can sometime seem impossible. But despite being one of Hollywood's biggest stars, Reese Witherspoon seems to have found it. And it's that balance of tough love and encouragement that makes me really admire her as a mom. 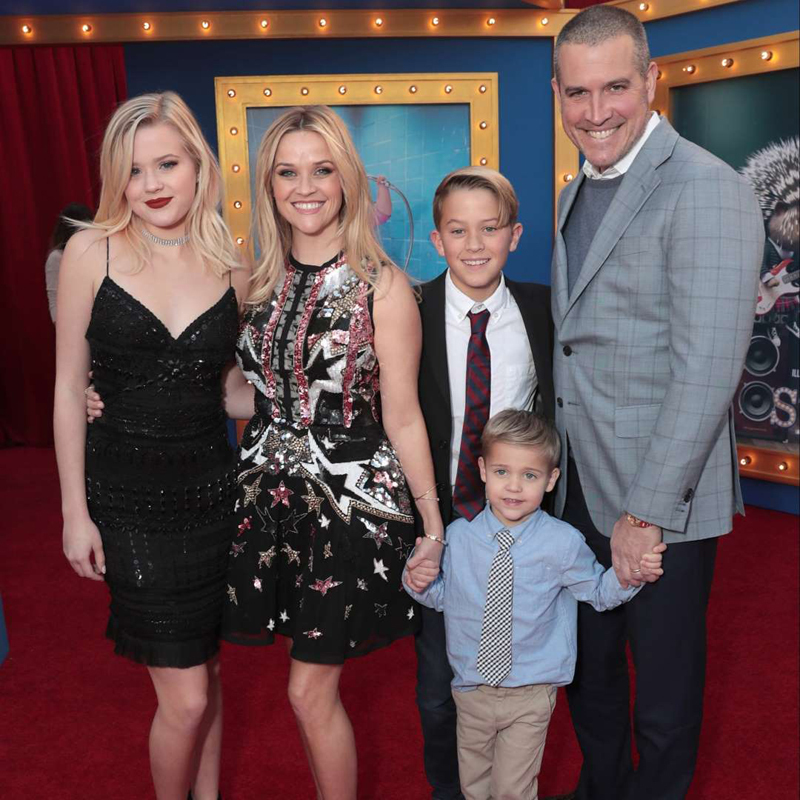 Witherspoon has been very open about her honest approach to parenting her three children, Ava, 19, Deacon, 15, and Tennessee, 6. "I feel like I'm constantly counteracting pressure from the parents who want to make the lives of their kids golden and magical at all moments!" she told Fast Company. "Guess what, kids? You're going to be disappointed and uncomfortable once in a while. I remember Ava crying in bed in third grade - she was on JV basketball and she was the only kid on the team who didn't score. I said, 'Aves, maybe you're bad at basketball.' She thought that was mean. I said, 'Mean or true? 'Cause, guess what? Your mom's bad at basketball, too.'" And she's absolutely right. As parents, isn't it our job to teach our children how to deal with life? The good, the bad, the beautiful, AND the ugly? No matter how hard we try, there's no way we can protect them from everything, and her quotes inspired me to be more honest with my own children. Of course I want to love and encourage them, but I also want them to be prepared for rejection. If they aren't good at something, I should tell them and either teach them how to work at it or support them enough to try something different. Learning how to navigate the tough stuff is so crucial for our kids' personal development, and dishing out tough love with compassionate love, like Witherspoon does, encourages children to push themselves to grow. When we teach our kids to be honest with themselves about their shortcomings, we give them a life skill that will guide them to success. So they don't get straight As in school or didn't make the baseball team. It doesn't mean they're a failure. It means those things just aren't for them - and that's OK. It can sometimes seem like celebrity kids have it easy and don't have to work too hard to get what they want. But Reese, who has fought for everything she's accomplished, seems determined for her kids to do the same. She recently gushed about her kids' accomplishments on Instagram, saying, "So proud of my kids for working so hard and always bringing their best selves to each challenge. All those early morning wake ups and late night study sessions paid off! Congrats to my super stars!" I believe that if you sugar-coat everything for your kids, they won't know the true value of hard work, and Reese helped teach me that.